VMFS-5 or an upgraded VMFS-3? With vSphere 5.0, VMware also introduced a new version of its vSphere Virtual Machine File System, known as VMFS-5. 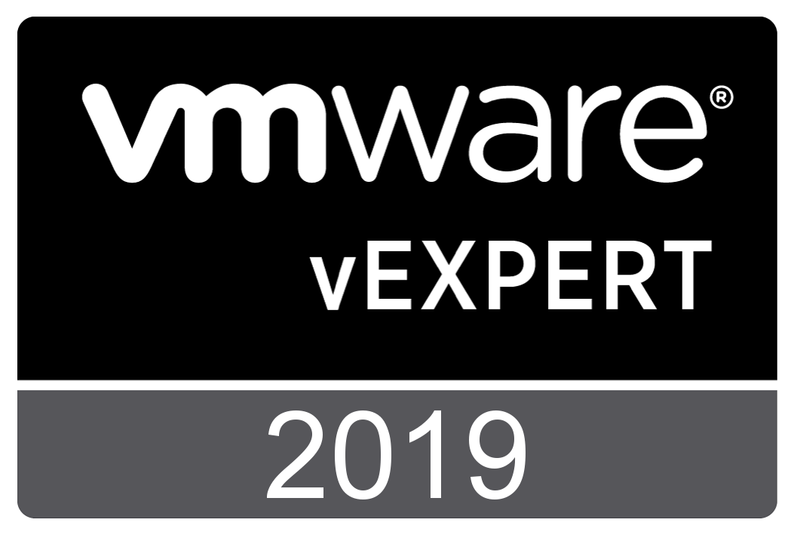 For a complete list of the new features, see the “What’s New in VMware vSphere 5.0 – Storage” whitepaper. 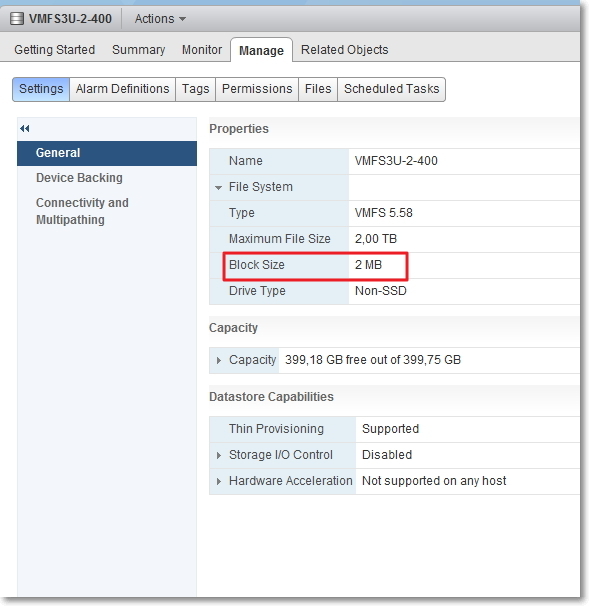 Since vSphere 5.5, the maximum supported VMDK size on a VMFS-5 datastore has been increased from 2 TB to 62 TB. More information on this in KB 2058287 “Support for virtual machine disks larger than 2 TB in VMware ESXi 5.5”. An upgrade VMFS-5 continues to use the previous file-block size, which may be larger than the unified 1MB file-block size. This can lead to stranded/unused disk space when there are lots of small files on the datastore. It is also stated that this can affect the performance of subsequent Storage vMotions. An upgraded VMFS-5 datastore doesn’t have new features like; the new Sub-Block Size, Increased maximum number of files per datastore, no GPT. Also, VMFS-5 upgraded from VMFS-3 continues to have its partition starting on sector 128. Newly created VMFS-5 partitions will have their partition starting at sector 2048. So, by deploying newly created VMFS-5 and upgraded VMFS-5 datastores, chances are that inconsistencies across your datastores are introduced. So instead of upgrading existing datastores, another approach is rebuilding datastores (fresh formatted VMFS-5) and relocating your VM’s. Of course this takes some planning and you will need a spare LUN. One question remains, how to recognize a new or an upgraded VMFS-5 datastore? OK, you can have a look in the vSphere Client or Web Client. If the Block Size is not 1 MB, it is an upgraded one. But now the block Size is 1 MB, can you be sure it is a newly created one? You are currently browsing the Adventures in a Virtual World blog archives for July, 2014.